adventure and God’s Word is an adventure, too. It is our hope that every time we meet as a children’s ministry that each child gets to experience an adventure through God’s Word through creative teaching and active learning. Our hope is that the adventure continues from church and into your home throughout the week. There is Explorers programming available for your child at every service time. Children will learn from God's Word, worship in music and dance, being challenged to memorize Scripture and most of all build awesome new friendships. We hope that your child experiences the adventure of living for God and your family chooses to become part of the SouthPark Church family. We are seeing God do amazing things here, and we want to invite you to experience what He can do in your child’s life as well. The Nursery ministry is called, “The Meadow” because of its peaceful and calming environment. This room is for ages birth to potty-trained or three years old. Children are promoted out of the nursery when they are potty trained or reach the age of 3, whichever comes first. The Nursery environment includes a trained & licensed caretaker and a clean and calming environment. You can feel at ease and enjoy worship knowing your infant or toddler is in a safe place. 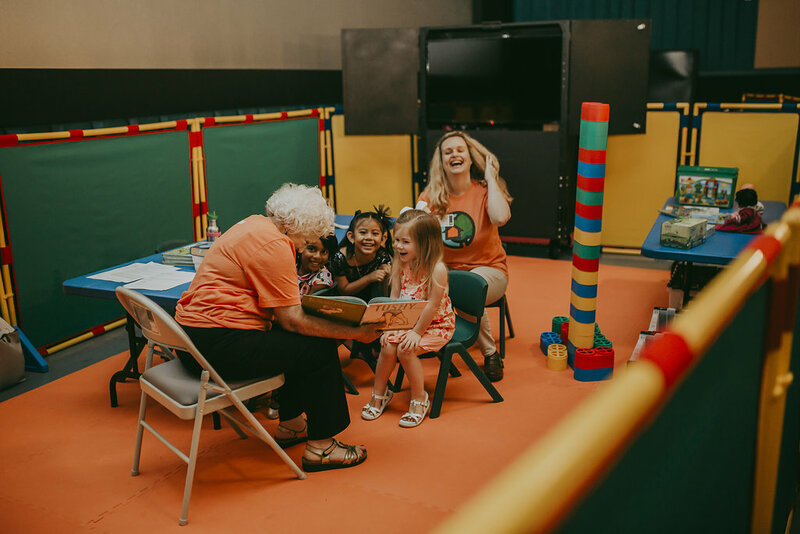 The Preschool ministry is called “The Treehouse” because children will experience a safe adventure and it is for ages two through five who are potty trained. The environment This classroom includes age-appropriate tables and chairs for crafts and snacks, open areas for worship and games, and a Biblical lesson. In the Treehouse, your child experience how God loves them and has an adventure for them. The Elementary ministry is called, “The Outbound” because children get to experience new adventures every week including learning more about the adventure God has for them. The Outbound is for children who are currently in Kindergarten through grade 5. Children can show up early to spend some time on the Wii's before service or hang with their friends amongst several activities. Children will get to have a game-time and active worship through fun songs and then split into two smaller groups divided by age of the younger and older children. Children are encouraged to bring their Bibles, memorize Scripture, and participate in small group discussion. We believe children need their own unique place to have an adventure, so we’ve created environments for each specific age group. These rooms are fun, safe and exciting places for your child to grow closer to God. The Meadow is for ages birth to potty-trained or three years old. The Treehouse is for ages two through five who are potty-trained. The Outbound is the ultimate adventure for kindergarteners through grade 5. We believe that safety and security is of the highest importance. Through our volunteer screening process, the child check-in/check-out system, and our safety protocols, among other things, we do everything in our power to make sure our environments are safe and secure. We believe that the Bible is an adventure, and also God’s guidebook for us. Every time we gather, we open it up for guidance and direction. We use the CEB as our standard version. We believe that a relationship with God is supposed to be exciting and fun…an adventure. We work tirelessly to make every time we gather an adventure. 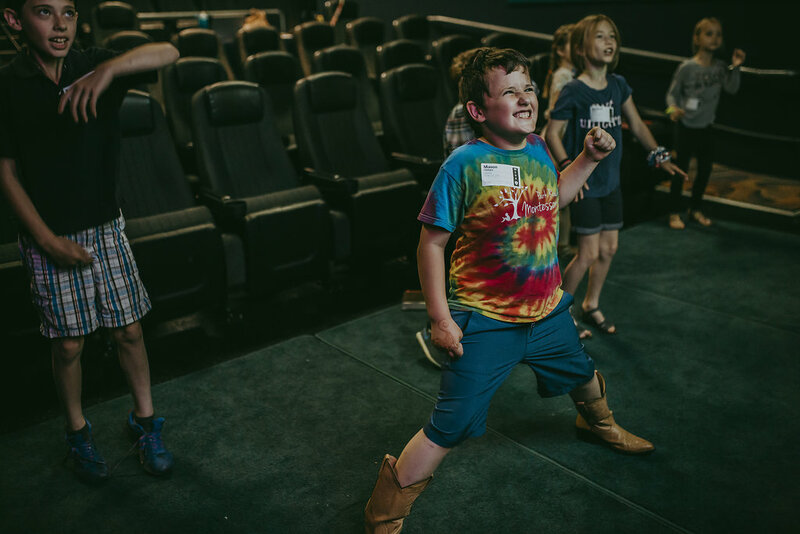 Through fun games, interactive lessons and high-energy worship times, we want every child to experience the adventure that God wants to take them on. We believe that ministry is meant to be done in relationships. We make every effort to promote relationships with children and volunteers. We do this through meaningful time spent together including small groups to promote discipleship. Partnering with parents is a vital portion of this ministry. We accomplish this by providing environments that enable parents to grow spiritually, undistracted, while their children learn age-appropriate lessons about Jesus in their own environments. We also desire for families to discuss Biblical principles together throughout the week. This is also why, among other things, our weekend curriculum is the same for 3 year olds through grade 5. The Bible story and core concept is the same to enable family discussion and dialogue around what was taught and learned on Sunday. Have more questions or want to volunteer? Our children's program has many ways to volunteer. If your interested in learning more or have additional questions feel free to email us by simply clicking the button below.